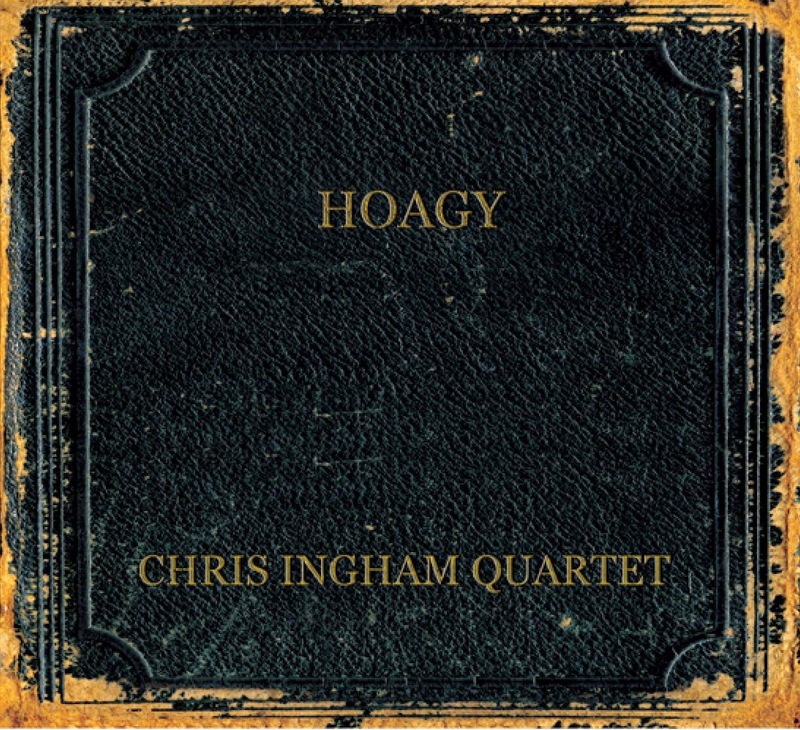 Pianist, vocalist, Chris Ingham's CD "Hoagy" on Downhome Records showcases his talents on sixteen of Mr Carmichael's finest songs. These include well known chestnuts like Georgia on My Mind, Skylark and Stardust as well as lesser known gems like Memphis in June and Lazy Bones. He even manages to toss in Dave Frishberg's Dear Bix, certainly a welcome addition. This outstanding quartet includes Rev. Andrew Brown on bass, drummer, Russ Morgan along with Ingham's able and sparkly piano doing double duty accompanying his vocals as well as providing inspired solo forays. Rounding out the group is Paul Higgs' wistful but puckish trumpet flutterings that appropriately help to celebrate Hoagy's sardonic wit. Chris' somewhat light and streamlined vocal quality is infused with a covering of Midwestern dustiness- just the job for this kind of material. One gets the sense that he revels in the opportunity to share these songs with whomever might be in his midst- whether in a concert hall or informal house party. The nifty and concise arrangments are ideal for this varied collection, yet never sound short changed or predictable. A fine delectation of Hoagy delights conveyed masterfully by an able foursome.